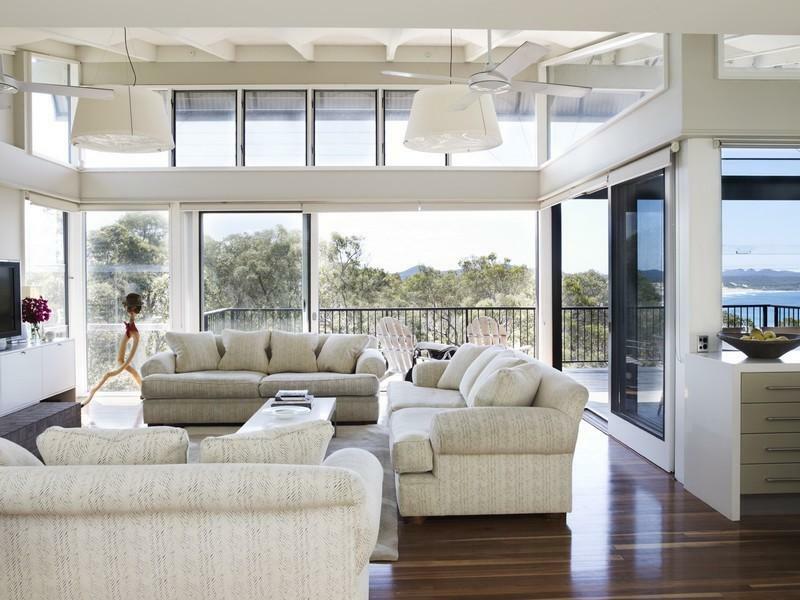 The Villa at Port Stephens is an elegant beach house bathed in sunlight and warmth. 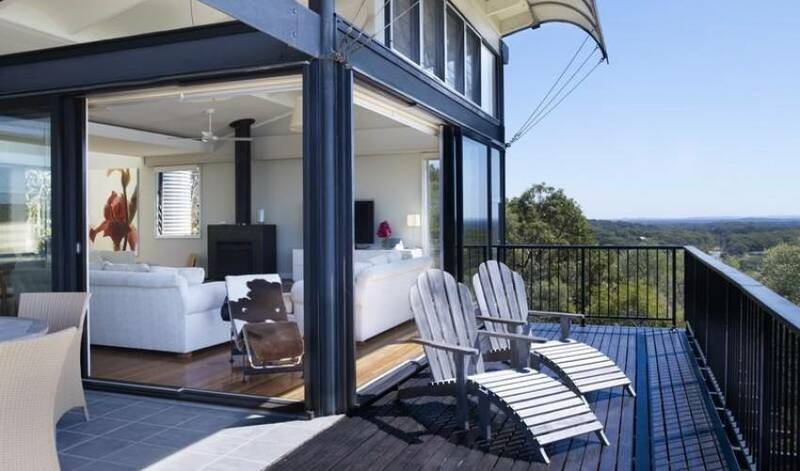 Just two hour's drive from Sydney, this exclusive hideaway is set on two separate blocks and flanked by National Park ensuring optimum privacy. 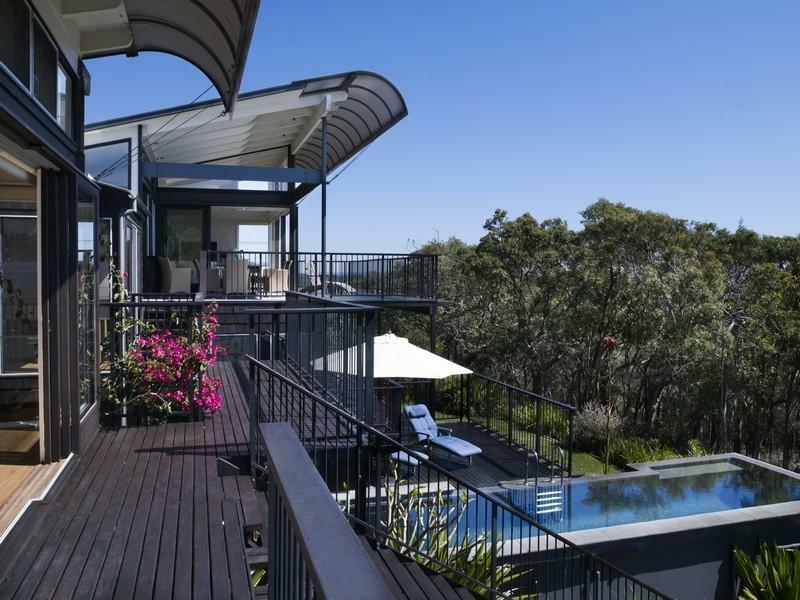 Conceived as a pair of interconnecting, eco-sensitive pavilions split over three levels, The Villa is a house of generous proportions and soaks up people well in its spacious crevices. 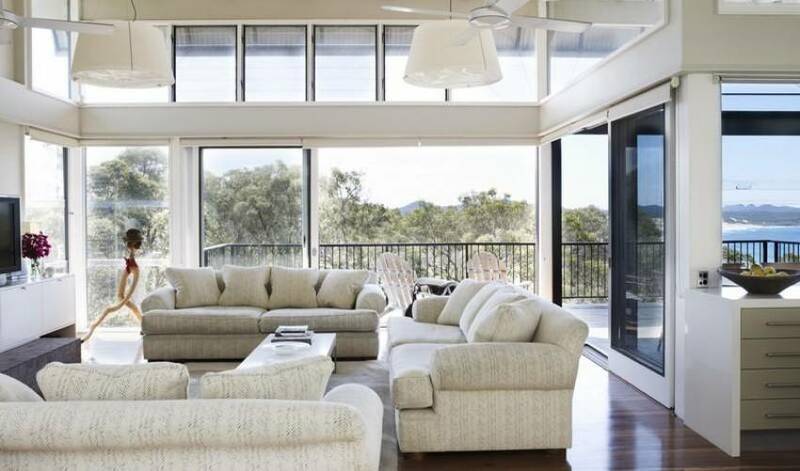 Upstairs adults can entertain from the terrazzo kitchen with Miele appliances, relax in the open-plan living and dining area or take a cue in the billiard room. 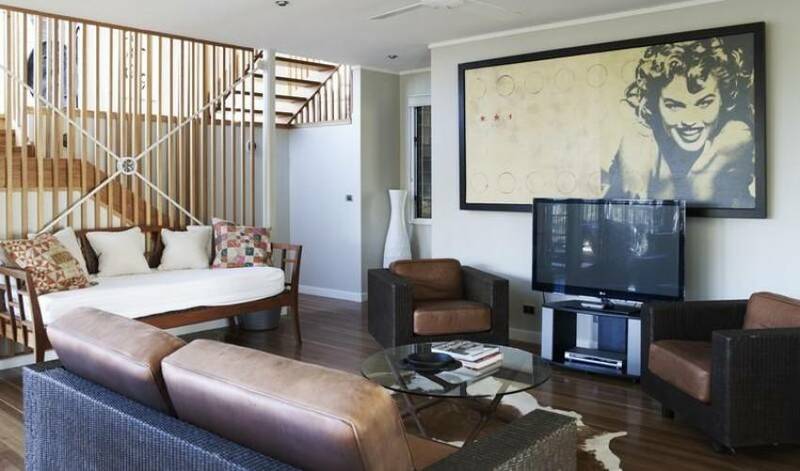 While downstairs two bedrooms share an additional living area with TV and DVD player - perfect for the kids. Outside a large yard is just the place for a game of sport. 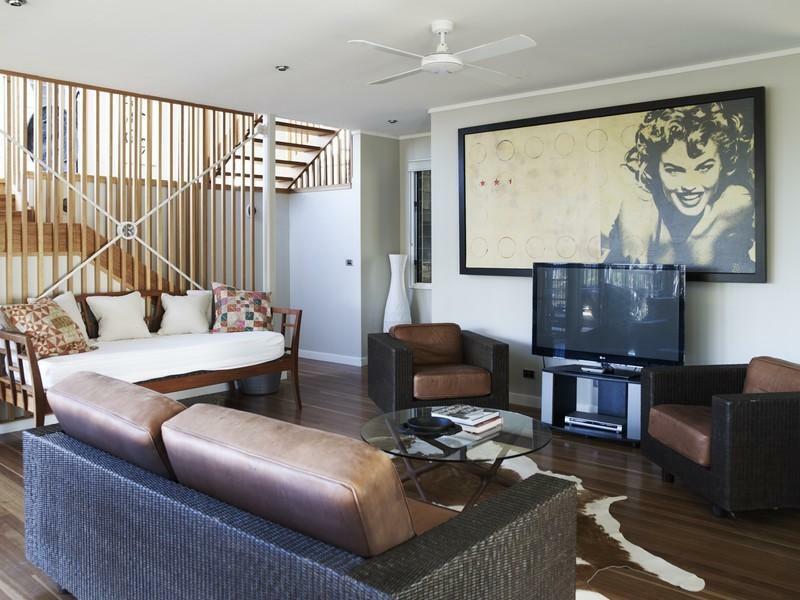 All three bedrooms at The Villa are beautifully appointed. 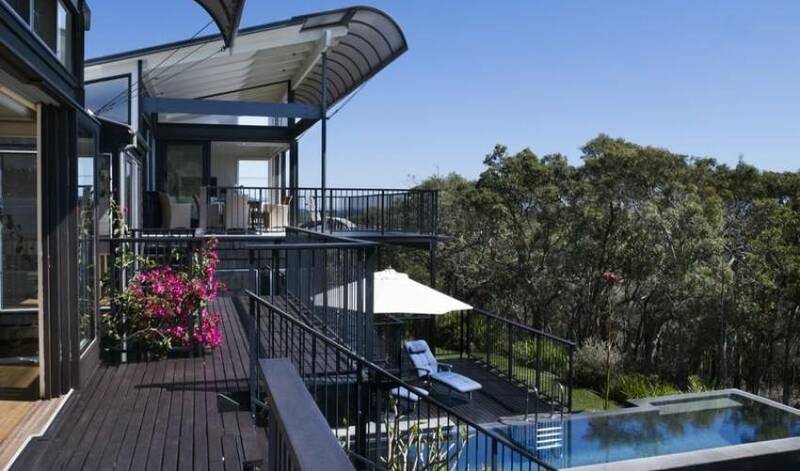 The huge master bedroom is set in its own pavilion for even more privacy and features a large walk-in sandstone shower, which looks out to the ocean, a deck, and perhaps the most impressive view from a toilet in New South Wales! 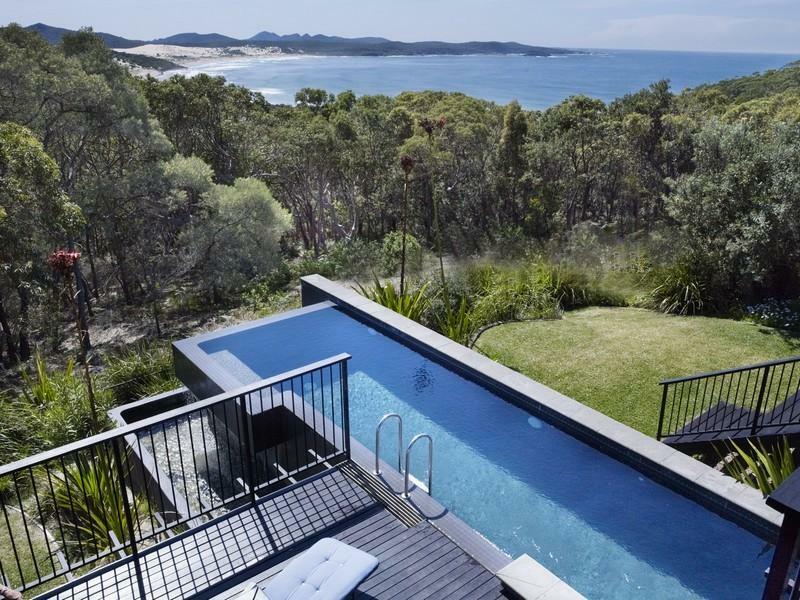 The Villas sensitive design showcases the northerly sun and its views across the bush, beach and bay, infinite-edge lap pool and extensive native gardens make it the ultimate Australian coastal holiday home. Three bedrooms. King-sized master suite set in its own pavilion. Downstairs: one queen-sized bedroom and one bedroom with four single beds. Two bathrooms plus powder room with toilet. Extra sitting room with TV and DVD player by the downstairs bedrooms. Superior linen, towelling and Aveda toiletries. Views of Nelsons Bay and the Pacific. 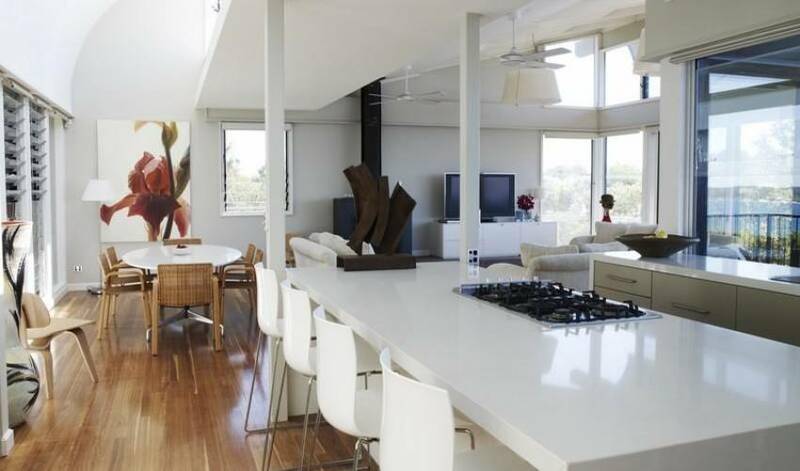 Open plan living and dining area, large balconies, decks and patios with barbecue. A large kitchen and separate laundry with all amenities. Fireplace and ceiling fan in the living area. 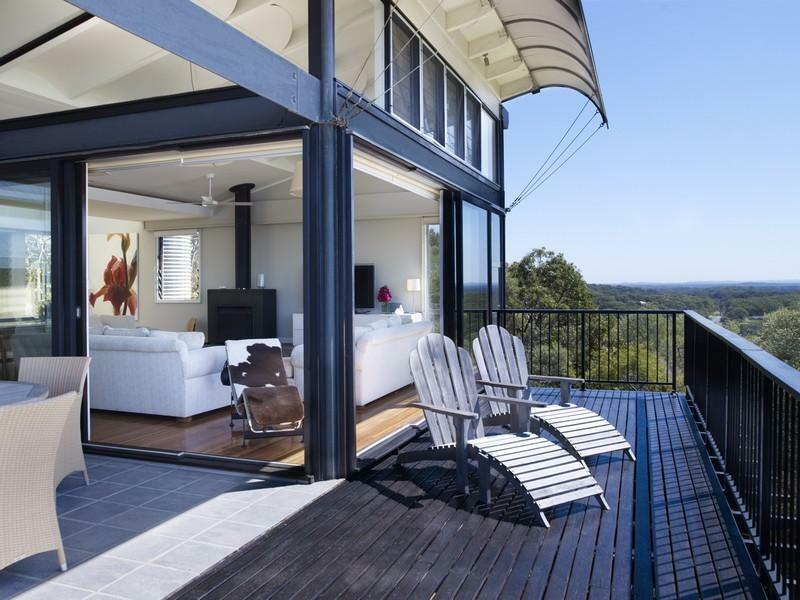 Gas heater in the downstairs living area and main bedroom. TVs, DVD players and CD stereo. 5-10 minute track to the beach. Allows for a maximum of 8 guests. 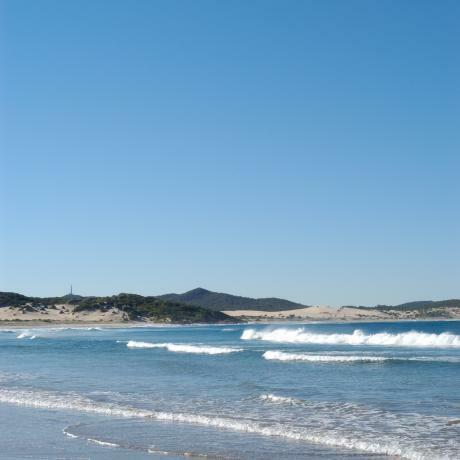 Port Stephens is a two-hour drive from Sydney. 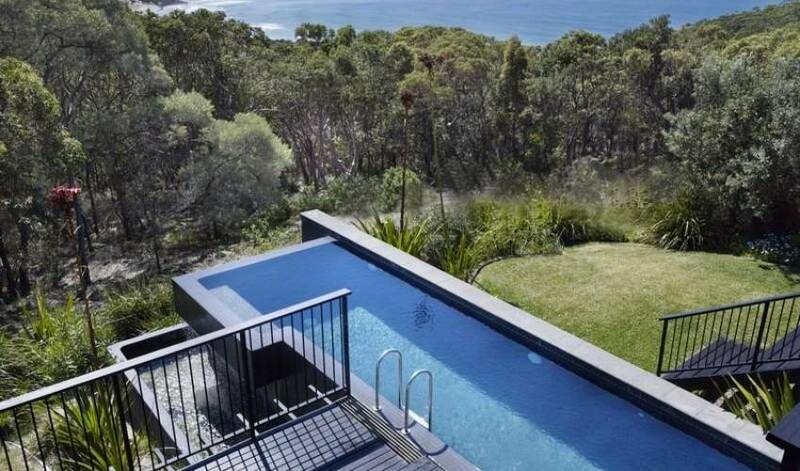 The Villa adjoins a national park in the Port Stephens shire, just a few minutes from Anna Bay. 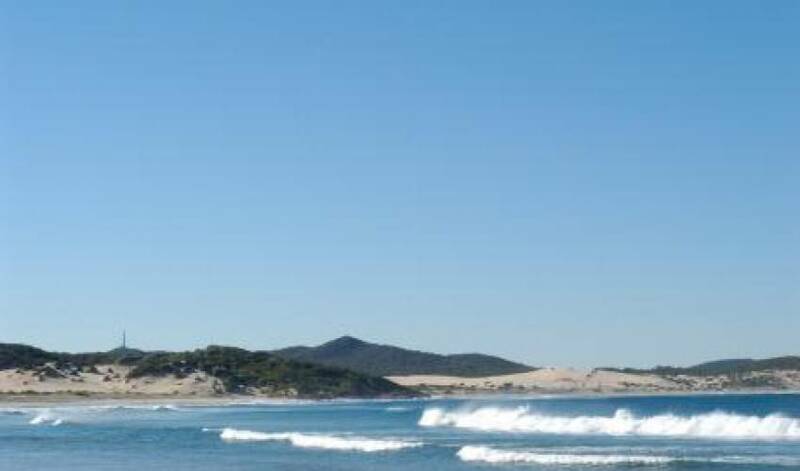 Nelsons Bay, popular for its abundance of restaurants and tourist facilities is 10 minutes away. Detailed directions will be provided at the time of booking. We had a great time at the house and thanks again for all your help! The new washer and dryer worked great. 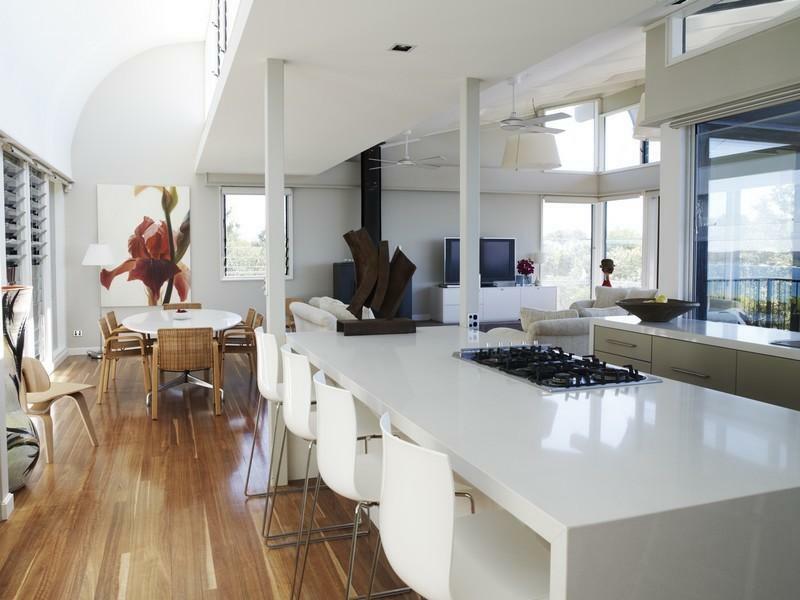 The house is quite enjoyable and we loved the art and architecture of the house! It was great waking up to the sounds of all the birds in the forest!